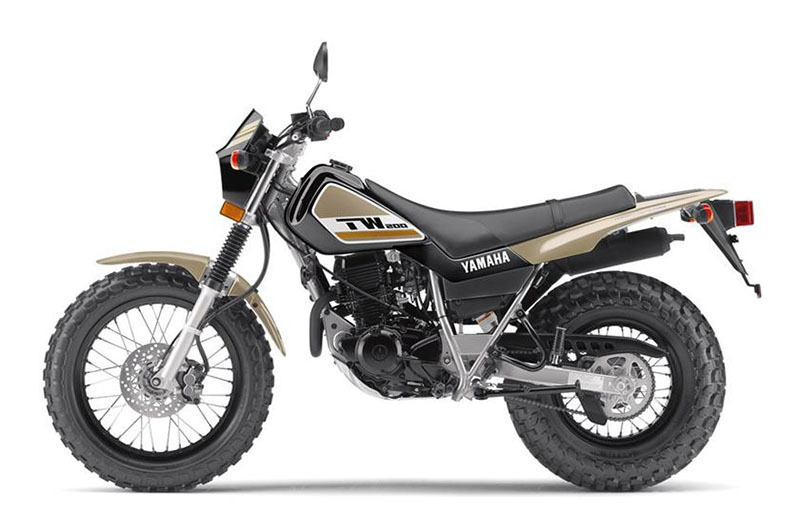 Adaptable and comfortable with fat tires, a low seat and smooth ride makes the TW200 the practical do-it-all dual purpose machine. PLUSH, LONG-TRAVEL SUSPENSION: 33 mm telescopic front fork with 6.3 inches of travel soaks up the bumps for a plush ride. 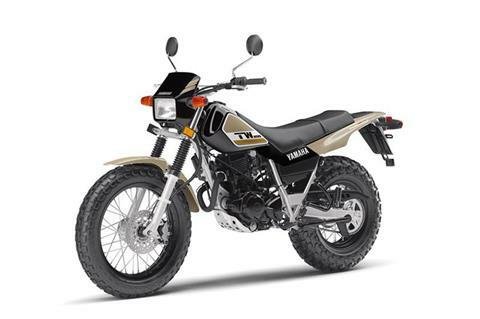 TERRAIN-CONQUERING TIRES: Fat 130/80-18 front and 180/80-14 rear tires provide excellent traction, control and the TW200’s unique dual-purpose style. 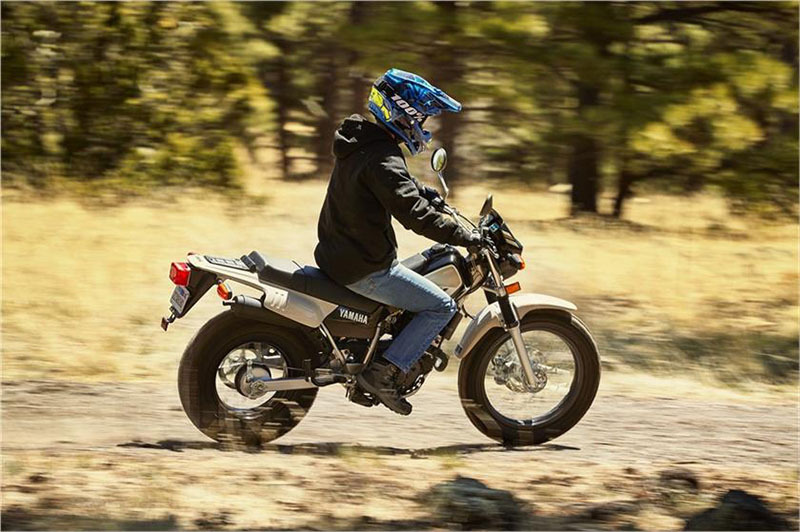 LIGHTWEIGHT SWINGARM: Lightweight box section swingarm and single rear shock with 5.9 inches of travel help enhance handling and overall comfort both on- and off-road. DISC BRAKE: Hydraulic front disc brake ensures greater stopping power with less effort. 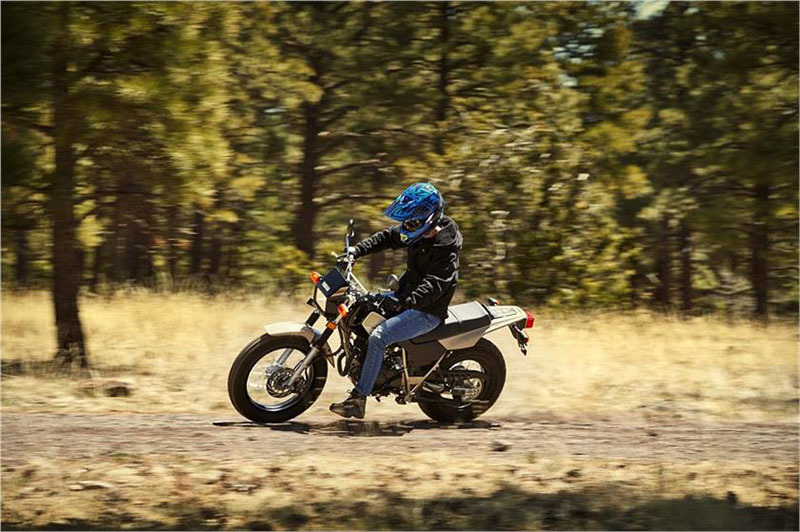 TORQUEY POWERPLANT: Strong-pulling 196 cc air-cooled, four-stroke single delivers torquey low-and mid-range power perfectly suited to off-road exploring. 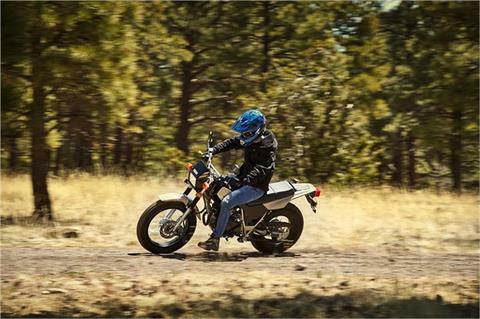 5-SPEED TRANSMISSION: Smooth-shifting five-speed transmission with manual clutch puts potent powerband to the ground for maximum on- and off-road performance. SMOOTH, COUNTERBALANCED ENGINE: Internal engine counterbalancer keeps vibrations down for greater all-day comfort. DIGITAL IGNITION: Maintenance-free CDI ignition system ensures precise, reliable spark for peak engine performance at all rpm. ELECTRIC START: Easy, reliable pushbutton electric starting. 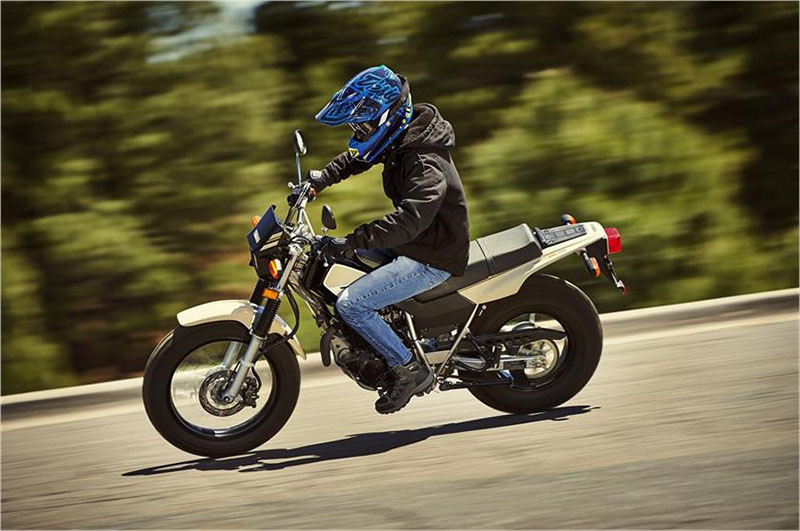 COMFORTABLE SADDLE: Long, two-tone, motocross-style seat creates a balanced riding position for optimal rider movement and comfort. PROTECTIVE FENDERS: Durable and wide front fender is designed to keep mud and dirt off the rider off-road. 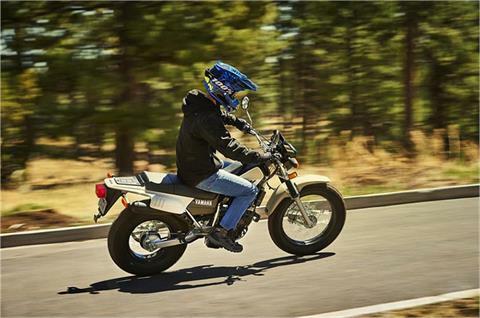 BRIGHT ILLUMINATION: Enduro-style, 60/55-watt halogen headlight features high/low beams. 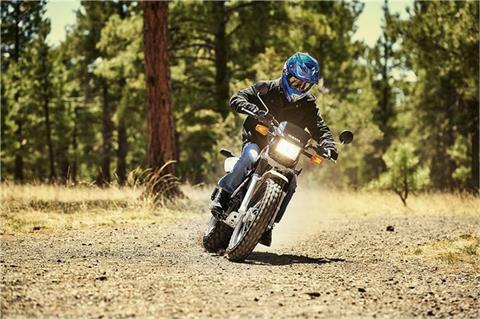 DUAL SPORT LIGHTING: Flex-mounted turn indicators offer greater durability against breakage. 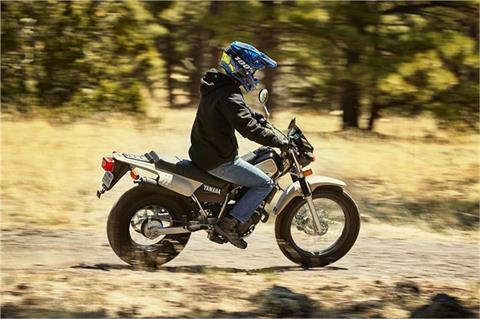 FORK PROTECTION: Durable fork shrouds help prevent rocks and debris from damaging fork sliders. COMPLETE INSTRUMENTS: Standard instrumentation includes a speedometer with odometer and resettable tripmeter as well as indicator lights for neutral, high beam and turn signals. 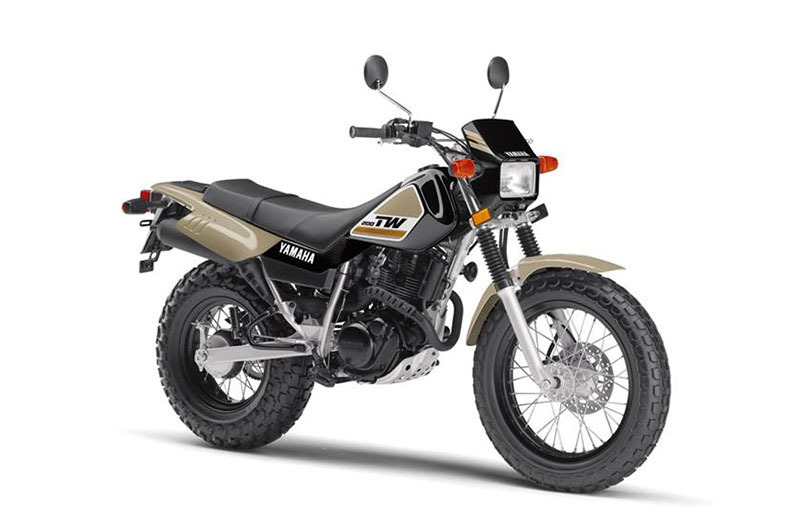 TERRAIN-CONQUERING TIRES: Those big fat tires deliver great traction and rider comfort over a wide range of terrain, and they make the TW200 the most distinctive-looking, dual-purpose machine around. 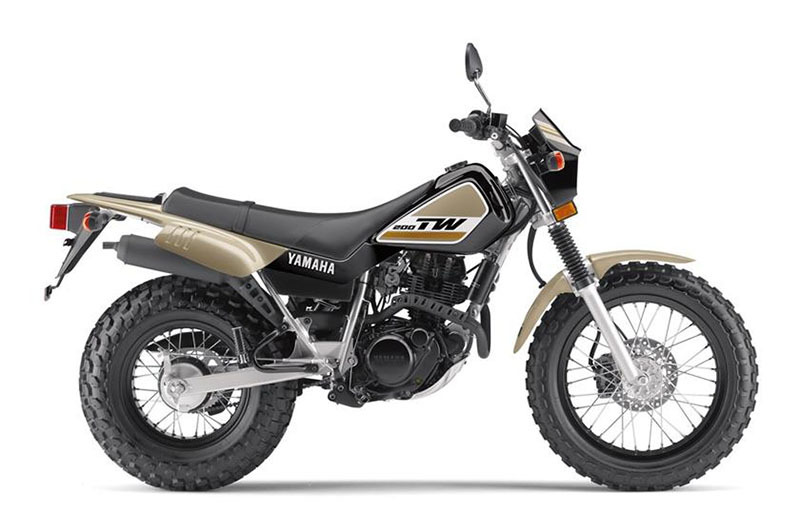 LOW SEAT HEIGHT: A low seat and compact chassis help inspire confidence in anybody who rides the TW200, making it one of the most user friendly on/off-road bikes on the market. ELECTRIC START: Electric start and full street equipment mean it’s super convenient to ride the TW200 just about wherever you need to go.